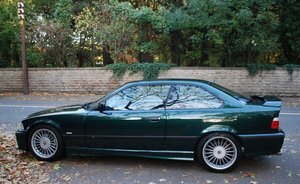 November 1998 BMW E36 328i Sport coupe. Manual transmission. Very rare Fern Green metallic factory paint. 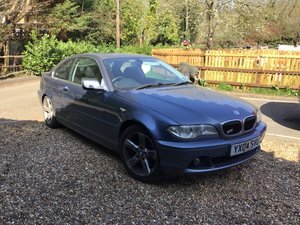 116,000 miles, 2 previous owners, Full and mostly BMW service history. November 2019 MOT. 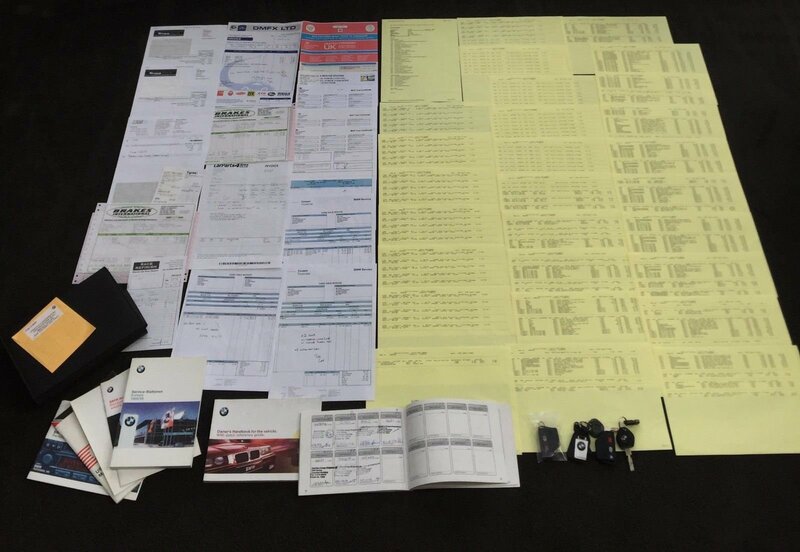 All paperwork and keys present. 4 Brand new Michelin Pilot sport tyres. Last serviced November 2018 including oil/filter, new Brembo discs and pads, Meyle control arms, track rods, coilover suspension, stainless exhaust system and K&N intake system. 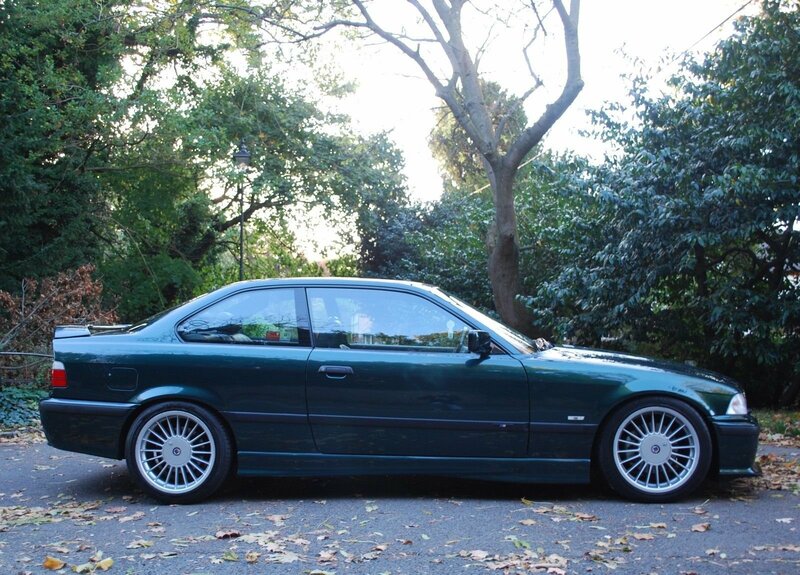 17” staggered (8j/9j) genuine ALPINA Softline alloys. Complete with all centre caps, locks, keys and centre valves. AC Schnitzer short shift kit. 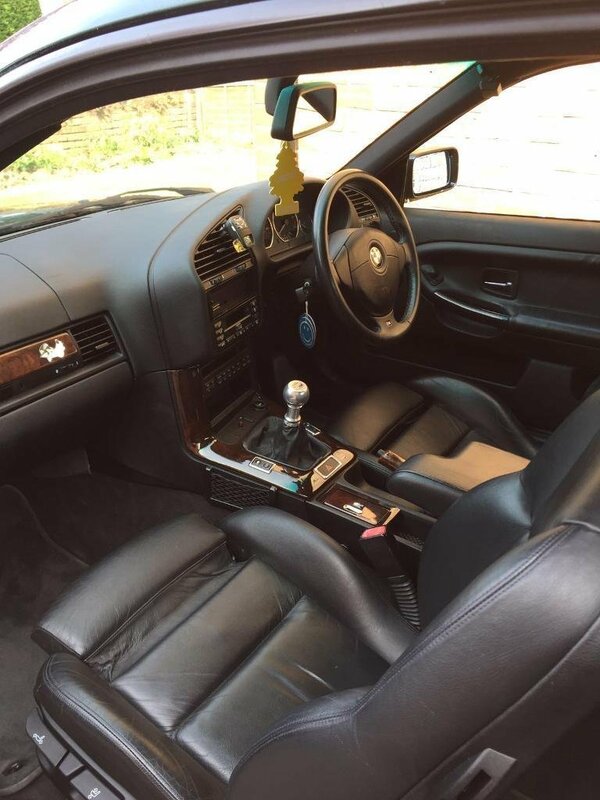 Full factory M spec list including M sport steering wheel and pedals. 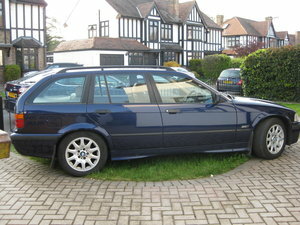 Reverse sensors, air con, sunroof and cruise control. 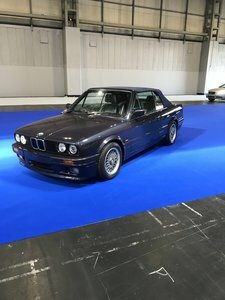 Unmarked black leather 328 sport interior. Bodywork all original, unrestored and superb condition. No rust on bodywork or arches. Runs and drives completely without fault. Everything works and it drives like a modern car. 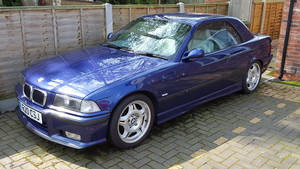 Rare and desirable specification. I doubt you’ll find better.